Sobirov is fundamentally a left-hander and in this scenario, he is in an ai-yotsu situation with uke. 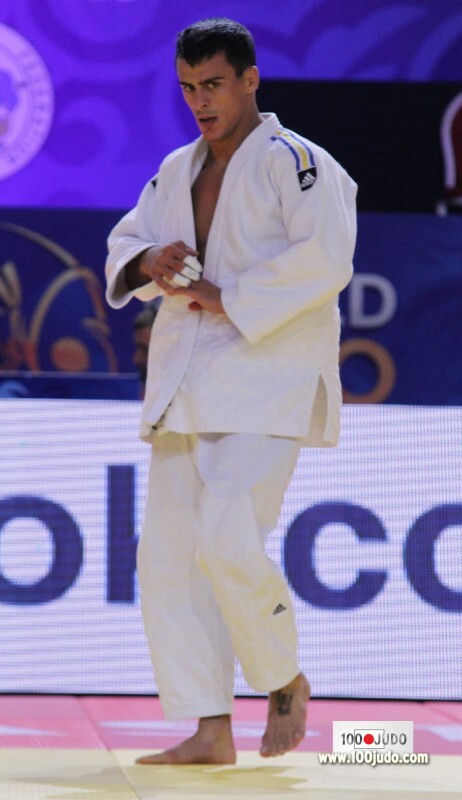 Notice how Sobirove has lifted uke's left lapel to create an opening for seoi-nage. Sobirov makes a fast entry, where he literally hops in and begins the lift as he enters into position. 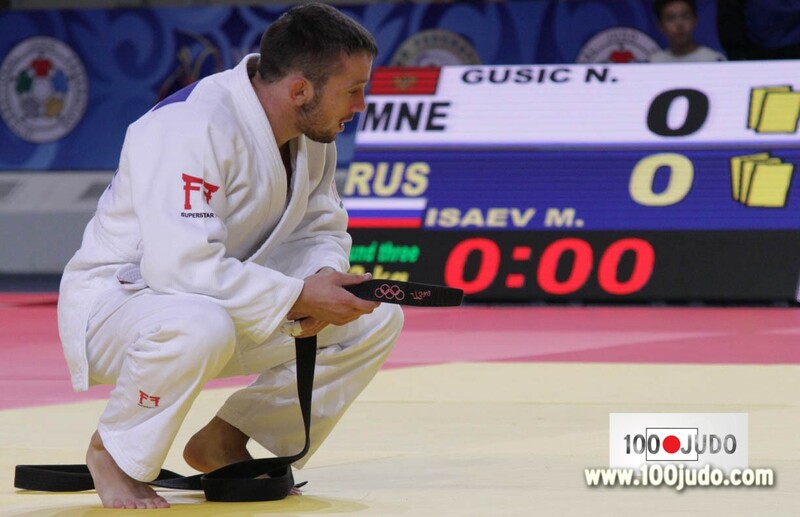 Notice how straight Sobirov's legs and body is when executing the throw. This is Koga-style seoi. 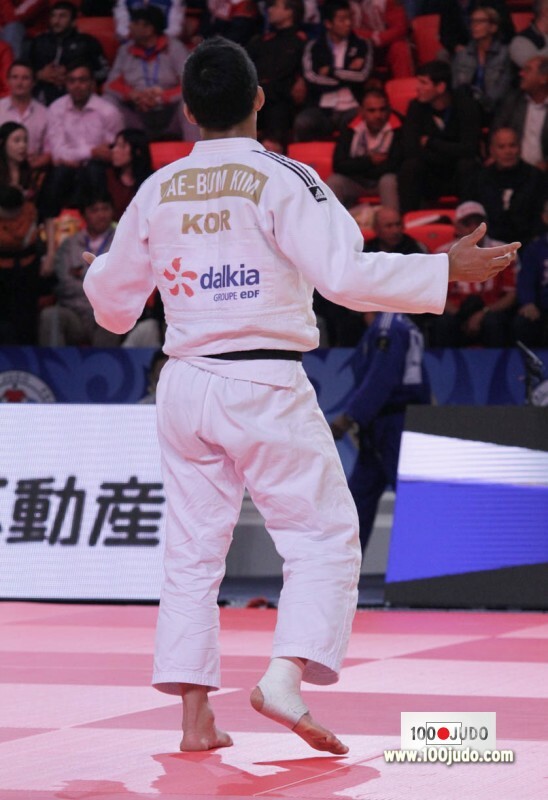 With uke fully loaded, Sobirov begins to collapse his driving leg (left leg). At this point, it looks as if uke might be able to ride the throw and step around. 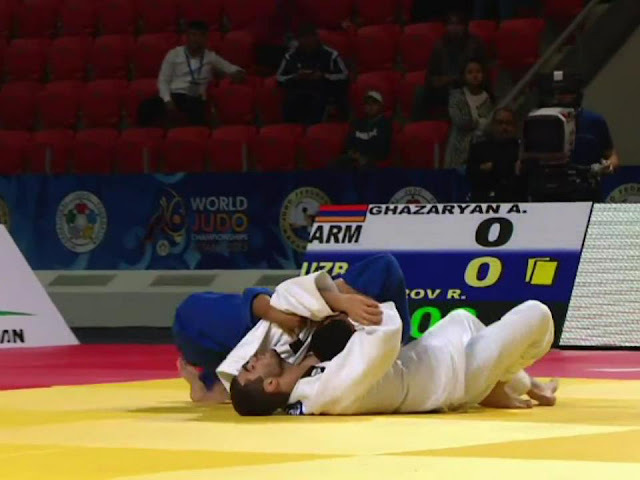 But Sobirov collapses his driving leg (left leg) completely, causing uke to tumble forward. 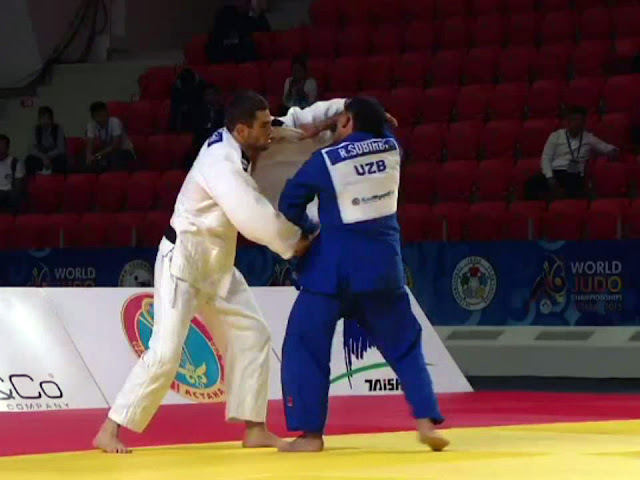 To ensure Ippon, Sobirov makes a complete rotation so that his back is on uke's chest.